Professor McCallum is a former Chair of the United Nations Committee on the Rights of Persons with Disabilities. In 1993 he became the first totally blind person appointed to a full professorship at any Australian university when he became Professor in Industrial Law at the University of Sydney. He served as Dean of the University of Sydney Law School for five years and is now an emeritus professor. 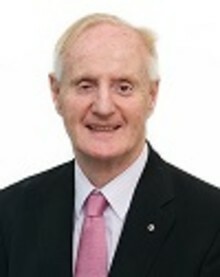 In 2011, Professor McCallum was awarded Senior Australian of the Year.